I haven't exactly been prolific when it comes to posting nails of the day's recently but from today that is all going to change. OPI Basque In The Sun, seems a bit of an odd choice at this time of year but for me the coppery, tan colour, with just a hint of shimmer reminds me of autumn leaves. I'm a huge lover of tan accessories and this shade works perfectly with a tan bag or even a tan leather watch strap. I teamed it with a recent dress purchase from H&M (post coming soon) which features copper, tan and blue flowers and a tan bag and I really felt coordinated and pulled together. 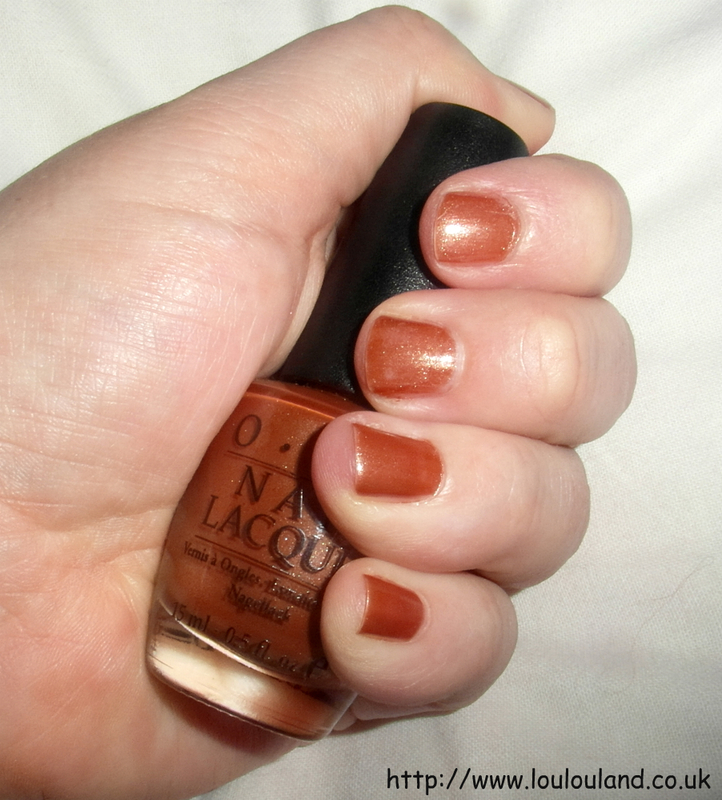 This colour is one of the oldest OPI's in my collection and it's still as good as it ever was. It took two coats but it dried quickly and the wear time was excellent.